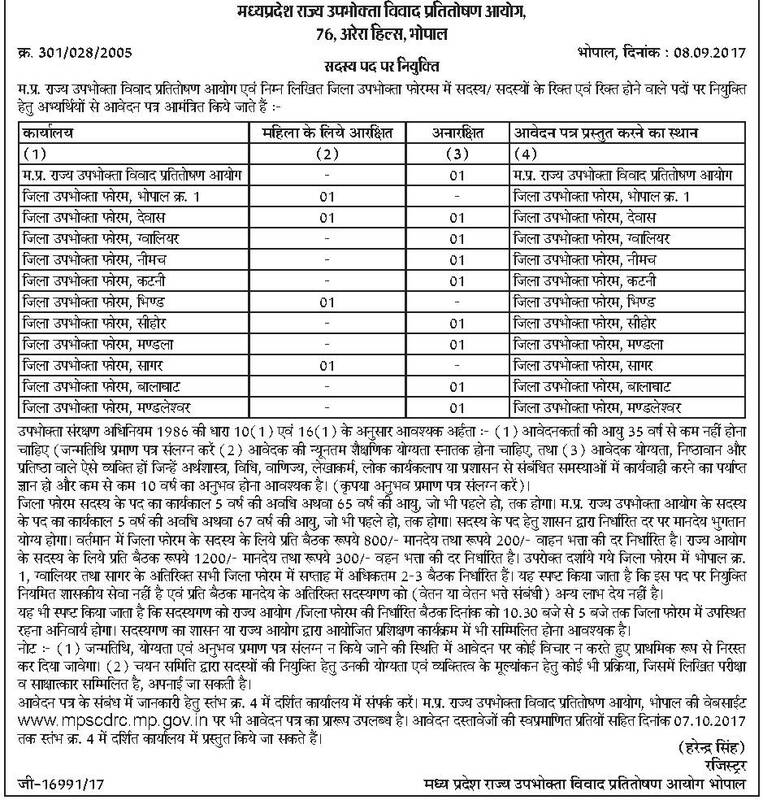 Madhya Pradesh State Consumer Disputes Redressal Commission (MPSCDRC) Issued a Advertisement For Recruiting 13 Members.All Eligible and Willing candidates Can Check Detailed Advertisement From Their Official Website And Apply Offline On Or Before 07th October 2017.Eligible and Interested Candidates Can Check Detailed Information For Each Postion Such As - Eligibility Criteria, Qualifications, Age Limit, Selection Procedure Before Applying. How To Apply - All Eligible candidates Can Download application Form through official website http://www.mpscdrc.mp.gov.in. before or on 07-10-2017. Important Dates - Last Date for Receiving of Offline Application Form Is: 07-10-2017 .